Constructing a septic tank is a good, do it yourself project. It will give you some experience worth having. Some people may be a little put off at the idea of trying to install their own septic tank system. However, if done correctly the money saved could be quite significant. Planning is the way to ensure this project begins and ends successfully. If not planned and executed correctly the repairs could be very expensive and the consequences not so great. You’ll have to do solid planning when starting to build a septic tank by yourself. The septic tank could be very well constructed, however if it is misplaced or doesn’t function properly, then the tank will have to be replaced. If you are up for the challenge, here is how you can build a septic tank. Continue reading how below. Before you begin, know the law. Educate yourself with your local laws in regards to septic tank systems. You will need to call an independent inspector come to look at and help you plan your septic tank work. Determine how large you need your septic tank to be. You can tell by how much water your household consumes. The more water consumption you have the larger your septic tank will need to be. Make sure you will have enough room on some dry land to be used as a draining field. The draining field is among the most important aspects of building a septic system. The septic system itself is the most important. Decide where the location of your septic tank should be. You need to have enough room to dig a hole that is large enough to accommodate your septic tank. The septic tank can not be overcome by water. No time during the year must this happen. It must remain dry to remain functional. Excavate the land to prepare to for both the septic tank system and the drain field. This will involve digging up space in the area of your yard you choose to install the septic tank system in. Install the septic tank, distribution box and drain field in accordance with your local regulations and ordinances. 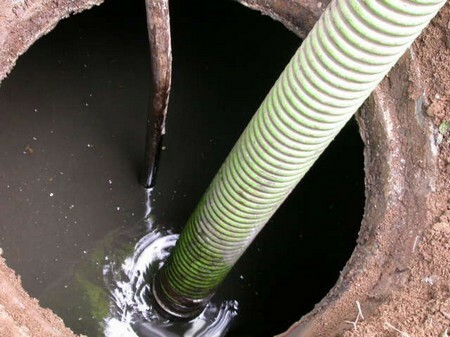 Local laws vary and determine the parameters these systems should meet, such as the depth of the septic tank system. Have an inspector approve your septic tank installation work. Attach the septic tank to your plumbing system and test to make sure your new septic system is functioning properly. Any malfunction like smells or troubles flushing will indicate that the system isn’t reliable. You should seek professional help to solve your septic tank system issues.